Dimension: Water Station: 24 SQ.M. , Community Center: 42 SQ.M. 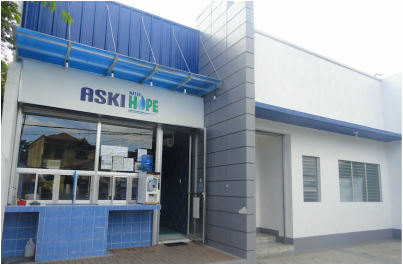 Waterhope Gapan was established last October of 2012. It is being managed by NGO partner, ASKI. Currently, it has 47 dealers and sells an average of 47,000 liters of water monthly. The proposed community development programs for the adjacent community center is focused on health and feeding programs, targeting 500 children 12 years old and below.